• Priced per system, not user. Unlimited users. • Flows similar to the “greens screen” AS400 query. • Does not require IBM Query or IBM SQL DB2 licensed products. • Users can create and copy existing queries. IT users can create templates for end users to copy. • Secured to the AS400 user id. • Files are secured to Users and User Groups. (This is not AS400 resource Security. This is a big enhancement to greenscreen AS400 query. • Fields can be secured for query access. • Administrators can create a more robust description of each field in the database. 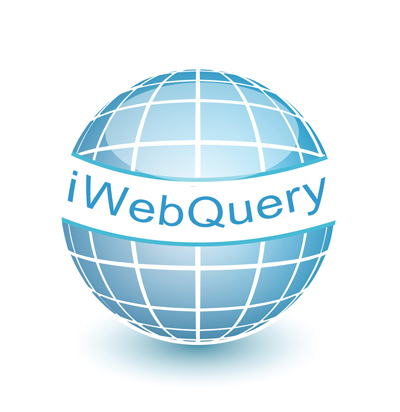 The Query tool has its own repository that can overlay the database file descriptions, field descriptions, column headings, and edits or leave these default to the OS400 database definitions. These are then used as defaults for new queries. • The ability to select one file or join to multiple files through prompted statements. • Administrators can create “pre-defined” file joins that are available for users to have access to. These pre-defined joins can list all fields in the joined files, or be selective as to the fields listed. The pre-defined joins can also pre-select rows for viewing. • The ability to select and sequence columns / fields from the above files. • The ability to sort from any field(s) in the files above (enhancement to greenscreen query). • The ability to sort by calculated fields. • Record selection via prompted or free format SQL statements. • Calculated fields via standard SQL statements. • Include URL Links in your query to link to other web applications with your information included in the URL. • Field edits (Phone, Social Security, Date conversions). • Definable Date conversions (YYYYMMDD, JDE and Mapics) date to m/d/y. • Definable functions. Convert JDE date to standard date for record selection. • Displays the query on the screen and allows resorting of information. • Ability to Export the query information into Excel or to a CSV file. • Ability to Merge information with a word document. Each row creates a document. • Ability to create labels in different types (2 up, 3 up, shipping, etc.). • Runtime Prompted fields. Prompts for data to be used in your Query. This allows you to define a query for run time only. Prompted fields can be text, dropdowns, ranges, or lookups. • Summary Queries (Returning one row with a summary of information pertaining to columns in the row. • Screen sensitive help text. • This product will run on its own iSeries APACHE server or it will integrate with existing web based applications. • You can put links on your current web applications to run pre-defined queries. • Custom screen headers to match your existing web site. • Optionally, we can install or integrate into your current web application for an additional charge. This product requires Zend Server 6. Copyright © 2016 – Mason CCI & Training Masters, Inc. --iWebQuery is a Registered TradeMark of Mason CCI & Training Masters, Inc.